Dead Aunt Thelma’s Studio, in Portland, Oregon, is fast becoming one of the Northwest’s premier “boutique” audio recording studio. Full of color and character as well as host to a long list of pro gear, Thelma’s is also one of the most comfortable, user-friendly, AND truly professional rooms around. When it comes to making music, the vibe is everything. Thelma’s is a nationally acclaimed, Russ Berger designed facility frequented by some of the nation’s best talent. Our focus is primarily on the recording and mastering of music projects as well as audio for video. We are proud of our selection of top-shelf microphones and outboard gear as well as our Steinway B grand piano. 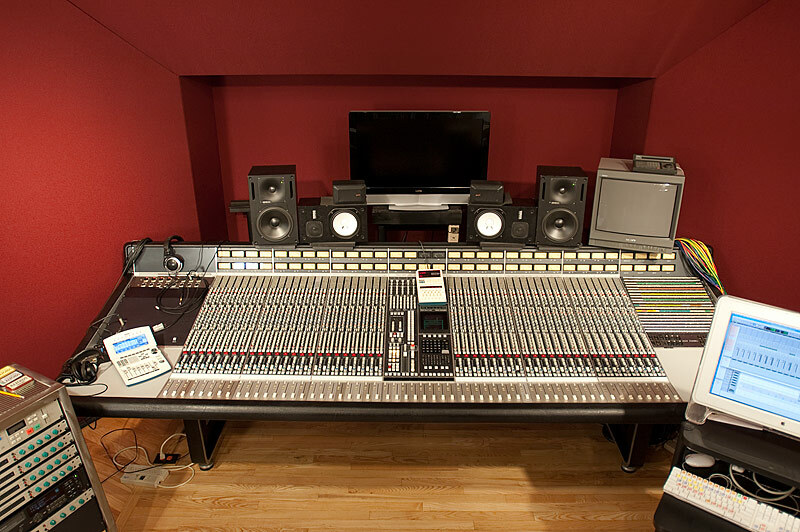 Combine these with our SSL 4048 console and you have yourself a quality recording experience. You can view our full equipment list on the gear page. Dead Aunt Thelma’s was built in 1990 as a project studio and upgraded to a premier facility in 1996. And it only gets better every year. We are tucked away in the Sellwood Antique District. The building’s story includes an historic site listing as an ice-cream parlor and then in 1965 became a beauty parlor. This left us with no choice but to call our front room hangout “the parlor.” We also have a lounge area connected to a private encircled back patio that, all told, give us an edge on comfort that is hard to beat in the city. Also, great food surrounds the facility — from burrito carts to first-rate restaurants — all within walking distance. The main recording room is 300 sq ft and has adjoining isolation rooms of 104 and 48 sq ft. The control room with adjacent machine room is 400 sq ft.
We hope you find our web site informative and enjoyable. If you have any questions, please don’t hesitate to contact us for further information.